During term 4 we worked on explanation texts, investigating the conditions on other planets. We continued our study of volcanoes and set up a class blog in computing, which we are practising using for class discussions and to share ideas and information. The class have taken part in a community history study which you can find out more about by following the link below. 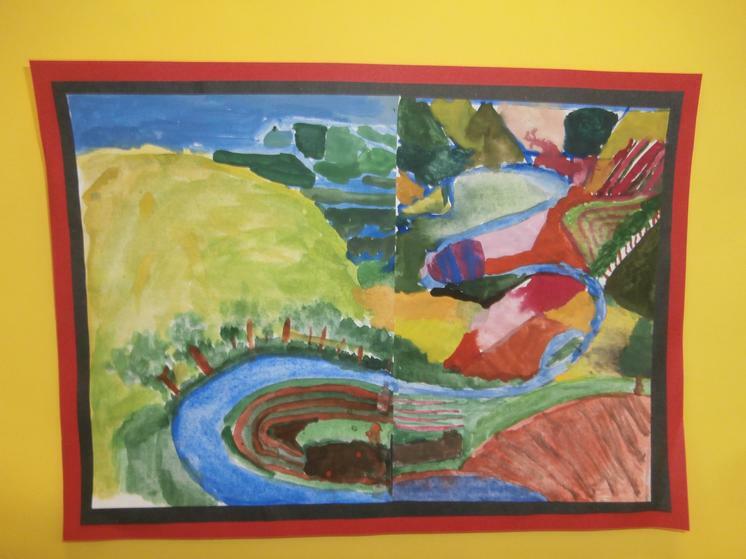 The picture below is an example of the class's art work based on the landscapes of David Hockney. The class also did a brilliant job of leading the Easter Service in the church, with everyone working really well together to prepare. It was a very busy end to last term, with the children doing a fantastic job of their performance of Snow White. This term we are investigating The Power of the Earth, another great new topic for Year 5, based on plate tectonics, volcanoes and earthquakes. In Science we will find out about the solar system, Earth's relationship with the sun and moon as well as the other planets. Louis Sachar and will use out topic work to practise skills at planning, organising and writing non-fiction texts. This term, Class 5 are busy preparing for their production of Roald Dahl's Snow White and the Seven Dwarves and are looking forward to performing it at the end of term. 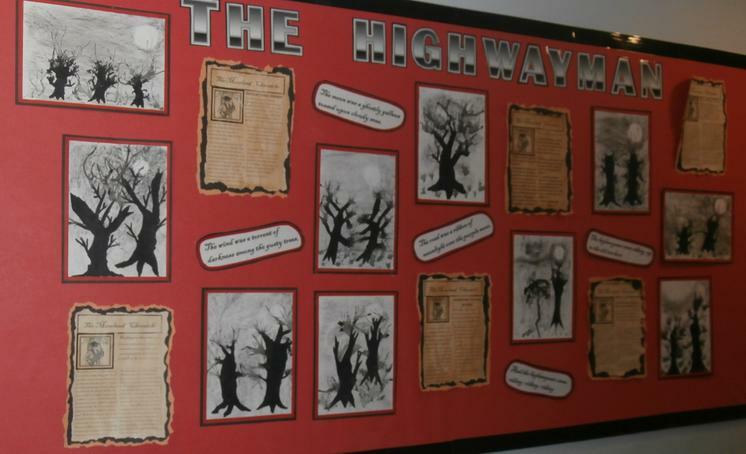 In Literacy we have been studying narrative poetry, writing news reports based on The Highwayman and retelling the story from the Ballad of Lucy Gray in our own words, capturing the mood of the poem. In art we have begun to study some of the work of David Hockney, creating some of our own art inspired by him. Class 5 had an extremely busy start to the year. We all thoroughly enjoyed our visit to London to see the ballet 'Manon'. The workshops that we took part in leading up to this allowed us to fully understand the story and to appreciate the ballet itself as well as being great fun in their own right. We have been learning about the Ancient Maya in Term 1, finding out about their beliefs and their way of life as well as investigating the mystery of why they abandoned their major cities and went into major decline as a civilisation. We have also enjoyed making games on the computer using Scratch, learning how to animate, control and move a character and to create different levels within a game. Year 5 have made an excellent start using their Learning Logs for their homework, following up some of the things we have been finding out about in class.